If you were to walk through the halls this week, you would see many places throught our school with crime scene tape blocking off the area of many crime scenes. Ms. Grant's Medical Froensics classes have been very busy preparing for their Crime Scenes. 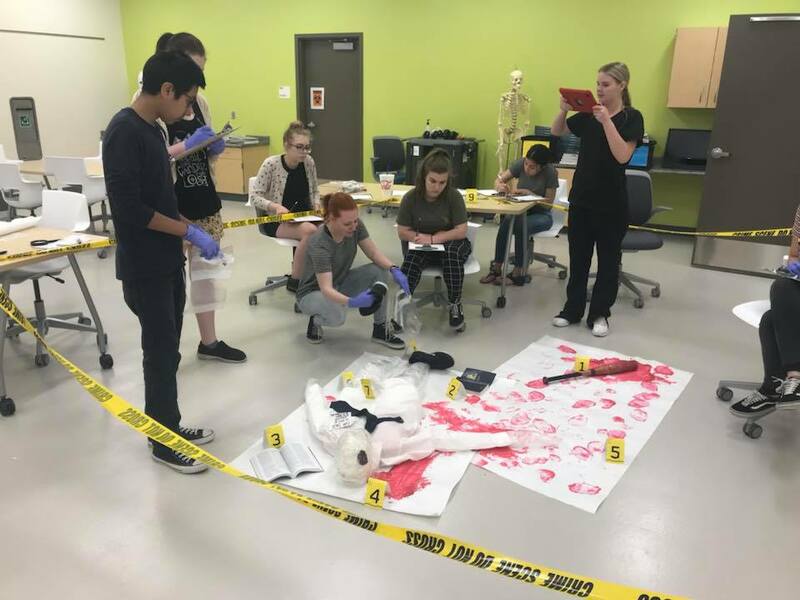 The students grouped together to carefully plan out a crime scenerio, they took alot of time making sure the crime scene was realistic and would give the other groups things that they would have to be careful to take note of in order to solve the crime. Then the fun began..... they got to set up their crime scene scenerio. The students put quite the details into their crime scene. It was fun to watch just how in-depth they would go. The other groups were able to walk around and try and solve the Crime scene. It was a great learning, hands-on experience for all of the classes. SHOUT OUT TO MS.GRANT FOR GIVING OUR STUDENTS LEARNING EXPERIENCES THAT MAKE AN IMPACT!